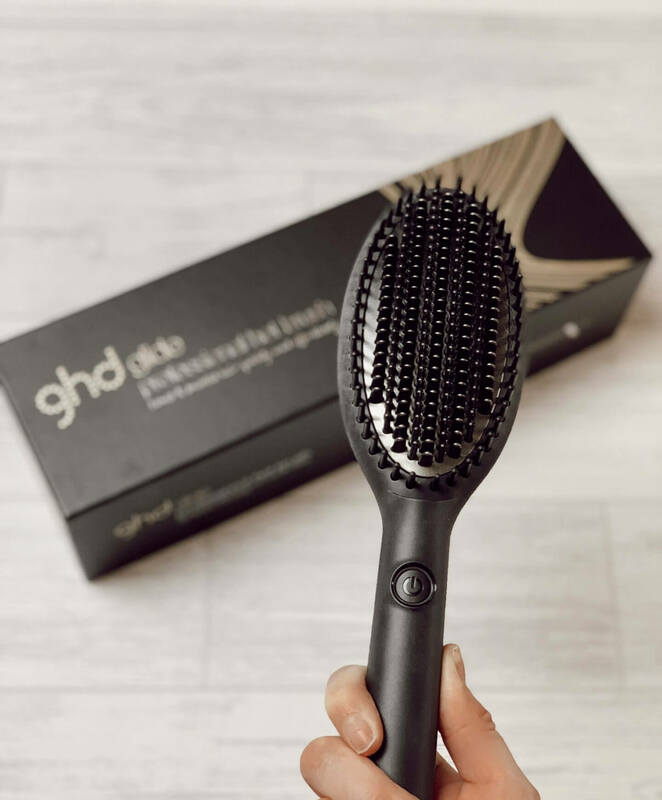 Launched today, the GHD Glide is the new hot hair brush everyone is talking about. 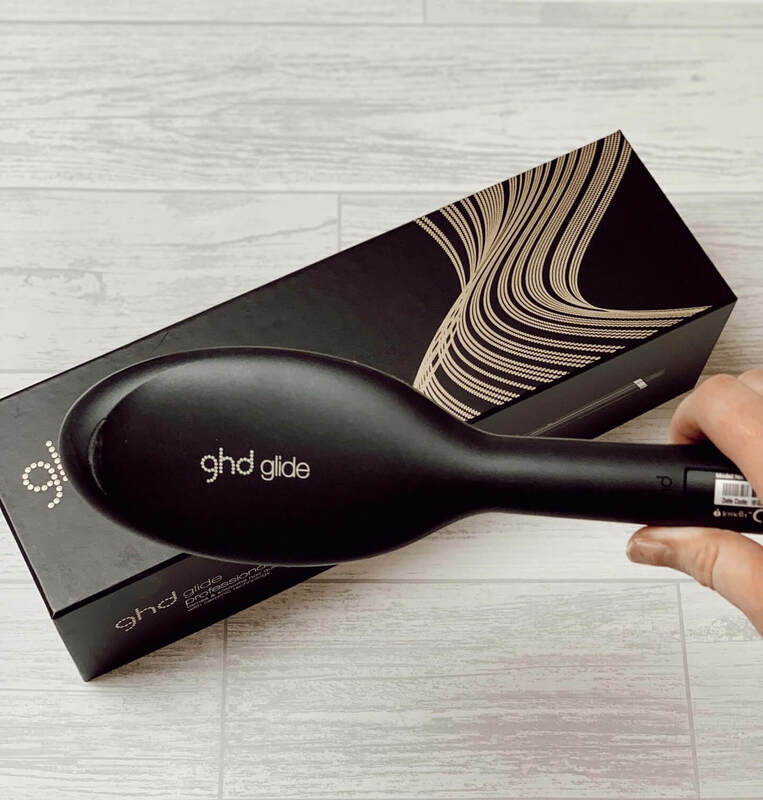 I was lucky enough to be sent one to review before launch and I want to answer the question you’re probably asking, do you need the GHD Glide? The claims are that this brush will smooth and tame your dry hair quickly and effortlessly. The brush is also said to be great for ‘second day styling’. So how did it fair? 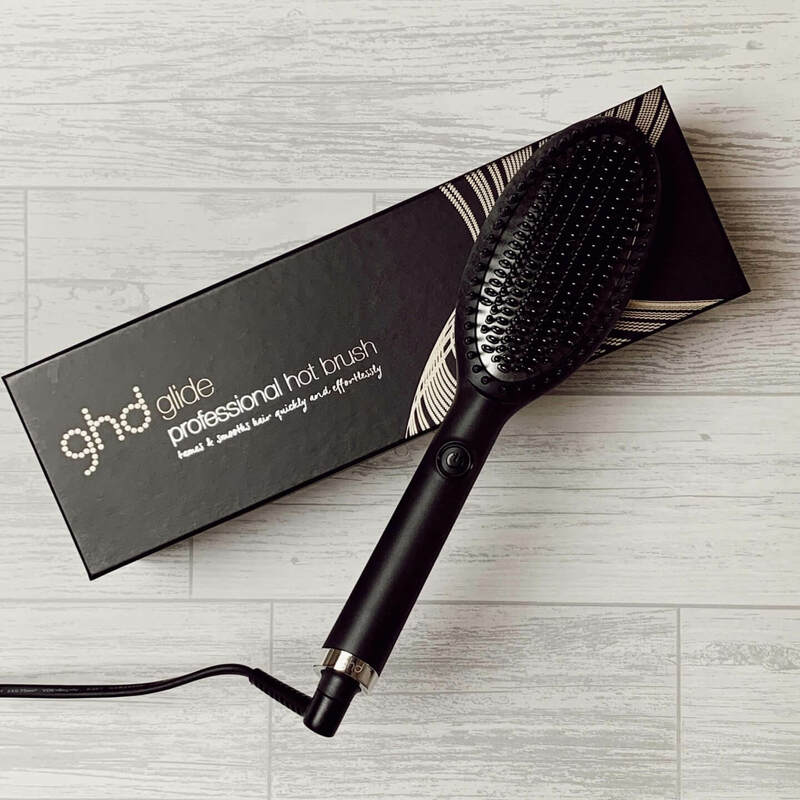 The brush heats up quickly to 185ºC at the touch of a button, much like the GHD Curve. It has a very long cable which is definitely a plus point for me; 2.7m, as it means I can use it almost anywhere, even if their isn’t a plug directly beside a mirror. There are a mixture of long and short bristles and the brush is pretty lightweight. The Glide also goes into automatic sleep mode after 60 minutes, which is a great safety feature. The first time I used the Glide was after messily blowdrying my hair, and then I pinned it up in sections and worked through my whole head of hair. Some sections I went over twice, others just once. Once all of my hair was done, I went over it a couple of times too. So as to see if the claims were true, I used the Glide the very next day, without re-washing, and my hair looked sleek and smooth in even less time. The photographs in this post are from the second day use. What I liked about this brush compared with other hot brushes I’ve used, is that the bristles were long enough to get through my hair. I have thinnish hair, but a lot of it, and the brush really feels like it is getting out any knots and smoothing the hair. I also didn’t need to repeatedly go over the same section to get the desired smooth look. With other hot brushes, I’ve found that you have to go over the same section several times. 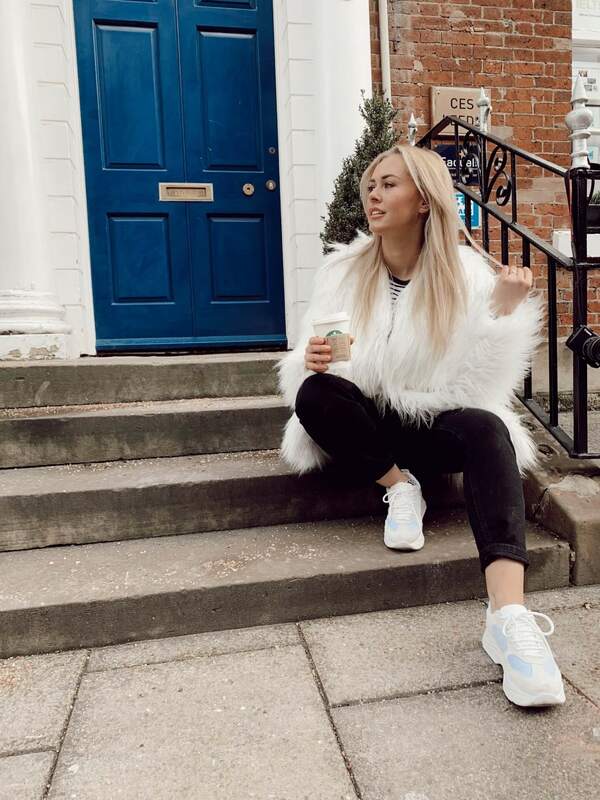 In less than 5 minutes, I was left with smooth looking hair, that hadn’t had the volume sucked out of it, which I often find to be the problem with straighteners. So, do you need it? If you like the smooth look, without losing volume and want to achieve this quickly, then yes I’d highly recommend you get your hands on the Glide. I will definitely be reaching for the GHD Glide ahead of my straighteners. The Glide is priced at £125, for this price you get the brush itself. It doesn’t come with a heat proof mat or bag, which my GHD straighteners and GHD curve did. I think this would have been a nice addition. *I was sent the GHD Glide in return for a review on my blog, therefore under new guidelines this is a gifted advert. All opinions are my own. I love this brush too and your hair looks amazing!